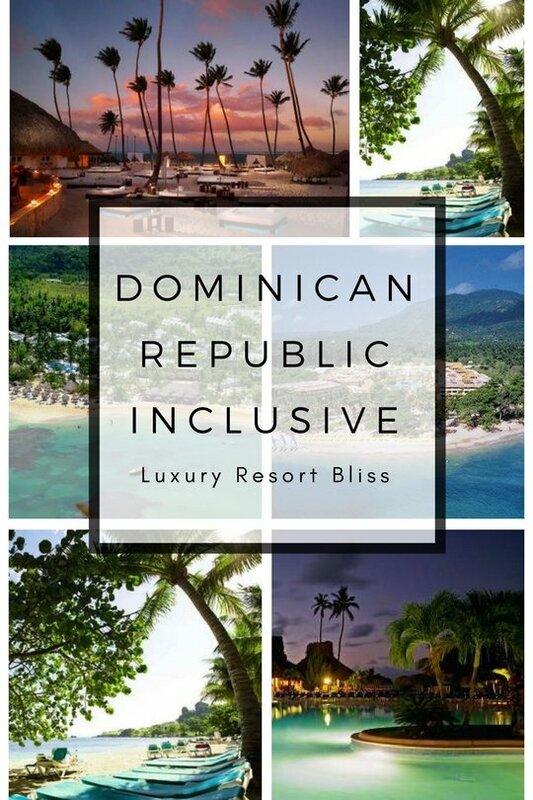 Looking for all inclusive resorts Dominican Republic options? The Dominican Republic is a fantastic place to find an all inclusive resort and there's a lot of choice. So much so we've split our all inclusive pages up by location and type:. 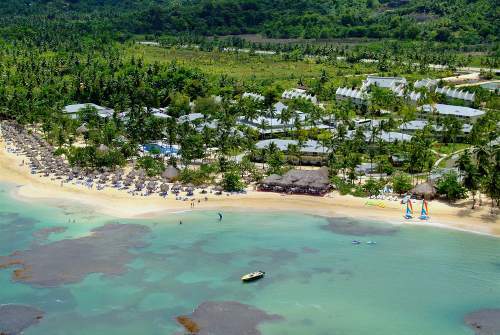 Puerto Plata itself is a couple of hours or about 200 km North West from Santa Domingo and offers a good balance between established and less established areas of the Dominican Republic and some great all inclusive resorts. Unlike some of the newer resort areas like Punta Cana, Puerto Plata has it's own city nearby on which to draw staff and infrastructure from. The advantage to the resort traveler is that you get the opportunity to go into town to perhaps visit some restaurants and experience the local culture. 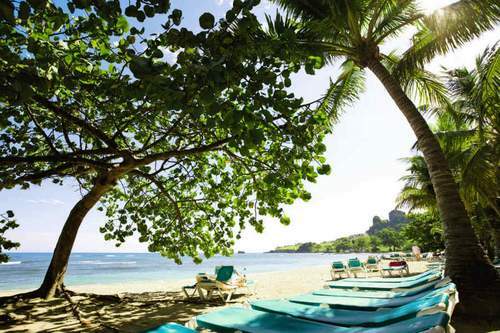 This is our take on the best All Inclusive Dominican republic resorts near Puerto Plata. We update this list every year, but it's worth checking out the reviews in any case to see if it will meet your particular requirements. We have provided links to these. The highest rated resort in Puerto Plata, the Iberostar Costa Dorada is a great spot for everyone and a great choice for families. There's a free water park and kids club as well as a beach, pool and 4 restaurants. It's a large resort with over 500 rooms, has a health club, garden and meeting rooms. Reviewers say it's friendly, there's a variety of food available and it's good, and staff are helpful. See the latest reviews and get more information for Iberostar Costa Dorada. Grand Bahia Principe is the highest rated resort in Las Terranas (and equal to the one above). It's on a private beach, has a free kids clubs, health club, full-service spa, 4 restaurants, nightclub and more. Reviewers like the friendly and laid-back atmosphere, say it's good for large groups, there's lots of shade, service is very good, and great value. Many great reviews of late! See the latest and get more information for Grand Bahia Principe All Inclusive Resort. Official website for Grand Bahia Principe All Inclusive Resort. This 5 star resort is on the beach with a free kids club, a variety of themed restaurants, a spa, pool, sports and activities and conference center. Reviewers say it's a great family hotel, has a nice beach, the food is good (and wine also), and the staff are friendly. Many great reviews in recent times. See the latest reviews and get more information for the Grand Bahia. 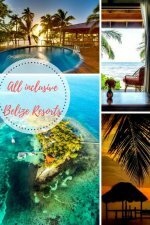 This 5 star, 24 hour all inclusive resort has a spa, restaurant, freshwater pool and kids pool, fitness center and is easy access to Ocean World. It shares the resort complex with a few other resorts which means there are quite a number of amenities available. Reviewers love the beach, pools and say the staff are friendly. A great tip is that you can email the resort in advance and ask for a room preference - like sea view. See the latest reviews and get more information for ClubHotel Riu Bachata. 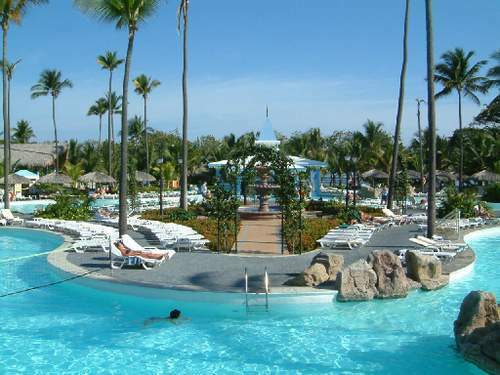 ClubHotel Riu Merengue is an all inclusive resort is a nice and natural environment with mountains surrounding it. There is a fresh water swimming pool, gym, spa with a variety of treatments. Dining options include a buffet and themed restaurants. Facilities are shared with the Riu Bachata listed above. Reviewers like this resort and there are a number of return visitors. They like the lush grounds (lots of shade), staff, entertainment, and say the food is good. More information and latest reviews for Riu Merengue. Sol De Plata Beach All Inclusive Resort is another all inclusive in the area. 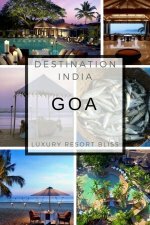 It is lesser known and has a casino, restaurant, pool and more. We'd definitely recommend checking out the latest reviews for Sol De Plata as not much has been written about it lately. 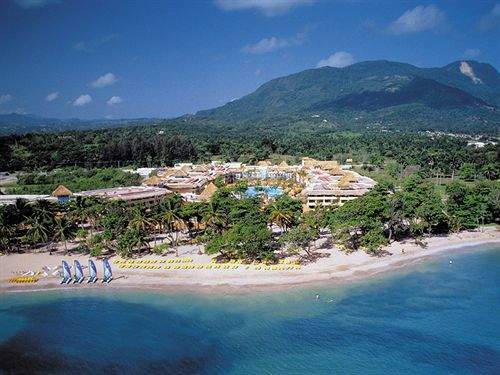 There are a number of other all inclusive resorts in Puerto Plata and Las Terrenas. Reviews aren't as great as those above but they are still good. This is where you might find your dollar go a bit further while still enjoying all inclusive options and a great beach. Large resort, beach, 5 restaurants, 3 pools, nightclub. Smaller resort on beach, 5 restaurants, 3 pools, beach umbrellas, many great reviews lately so could be on it's way up. Family friendly all inclusive on the beach with casino, 3 restaurants, nightclub, pool, free shuttle to theme parks, and beach umbrellas. Occidental Caribbean Village Playa Dorada is our final listing. It's in Las Terrenas and doesn't get fantastic reviews at the moment. It's mid-range and not too large, there's a casino and restaurants. Food is good as is the service. You can also take a look at the right hand menu for more in the Dominican Republic. 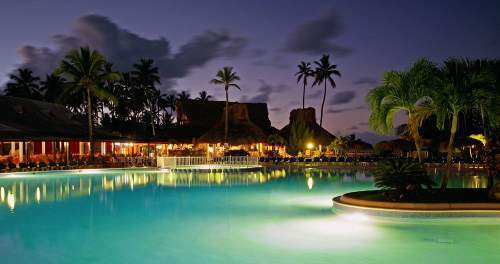 Thanks for visiting our all inclusive resorts Dominican Republic page!